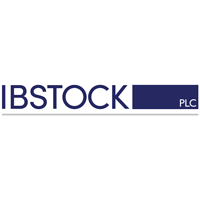 Ibstock Plc (LON:IBST) announced that Kevin Sims has notified the Board of his intention to retire in 2019 after more than 30 successful years with the Group, including the last three as Chief Financial Officer of Ibstock plc. He will be succeeded as CFO by Chris McLeish, currently Group Vice President Finance and Control at Tate & Lyle PLC, who will join the Board on his arrival in early August 2019. Kevin will work with Chris to ensure an orderly succession and a smooth handover. Kevin will continue to be available to the Group until the year end. Kevin played an extremely important role in Ibstock’s successful listing on the London Stock Exchange in October 2015 and the Group’s subsequent continued development. Chris, who qualified as a chartered accountant in 1994, brings a wealth of experience in key Finance leadership roles with a broad background in manufacturing, media and technology sectors. He joins from Tate & Lyle PLC where, over a 17 year period, he has been Finance Director of the Group’s North American Sugars division (2005-2009), Director of Investor Relations (2009-2011), led the Group’s enterprise transformation programme (2012-2013) and, since 2014, been Group Vice President Finance and Control, responsible for all aspects of Group Finance and Controls, as well as the global shared services operations. Chris holds a Bachelor of Science in Business Economics from the University of Salford. “Kevin has played a vitally important role in Ibstock’s success and on behalf of the Board I thank him for his efforts and significant achievements. In accordance with the UK Listing Rules, the Company confirms that there are no further details that are required to be disclosed under paragraph LR 9.6.13 R of the UK Listing Rules in respect of Chris McLeish. Click IBST for the full archive.